A graduate of the Swedish Institute Health and Science College in NYC, Khadija practices Therapeutic massage through an approach that focuses on relaxation as a tool for easing pain. Khadija noticed that mostly her female clients shared similar concerns: body issues, safety concerns, stress and anxiety, self connectedness and the list goes on. No matter their career or relative wealth, each client had various needs. 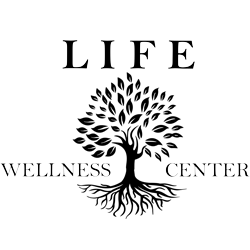 Acknowledging these needs, Khadija and Ade designed Life Wellness Center to offer their clients a safe place to relax, build on and begin again. Khadija's belief is that an empowered life is one that can be lived with the familiarity of touch. This belief guides her practice. She brings an intuitive caring demeanor into every session, a place of trust and calm. Her professional experience range from spas to medical offices and a growing clientele of people recovering from injuries, and chronic physical and emotional pain.